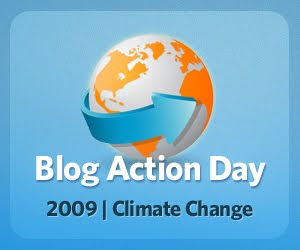 Today, around the world, 10,000 blogs are talking about climate change, you know, global warming. Call it whatever you'd like - we know that climate change is an urgent issue, and that we - young people - have the most at stake. On this day of action, can you do more than talk about it? Can you take a minute to Declare your Independence from Fossil Fuels? We already have the technology we need to turn sunlight, wind, waves, even human motion into electricity. We just need to get started! And with the Copenhagen international climate negotiations less than 8 weeks away, it's more important than ever that we Raise our Voices for change. Over 16000 other young people have signed the Declaration, will you join us?